'Space' and 'place' are concepts central to both geography and sport. Places, for example, are the means of identifying most sports teams, while sport both affects, and is affected by, the physical environment and landscape. 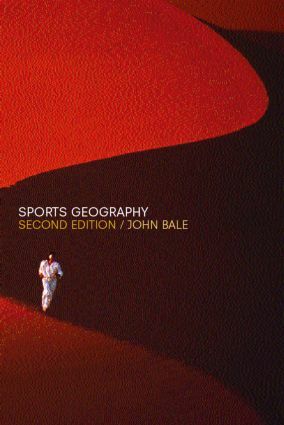 In this fully revised and updated edition of his classic, discipline-defining text, John Bale comprehensively explores the relationships between sport, place, location and landscape. Drawing on examples from around the world, the book addresses key topics from the geographical diffusion of modern sport to the economic impact of sport. Also included in this new edition are cutting-edge areas of geographic interest, from the 'geographical imagination', to postmodern and postcolonial enquiry. Presenting a wealth of research data, as well as the most comprehensive guide to the literature currently available, this accessible text will be indispensable reading for all students of sport, human geography and cultural studies.